The BBC today has given us a fantastic headline superhero in a fantastical situation. Meet Nepal Man: a national symbol who suffered for a crime he did not, nay could not, commit, for it does not exist. 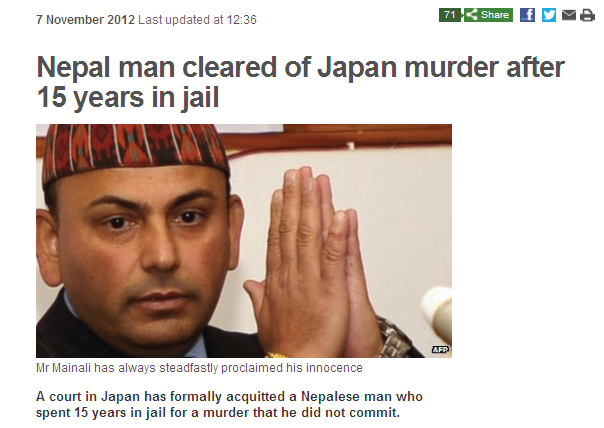 Japan Murder. Now, last time I checked, the nation of Japan wasn’t dead at the hands of Captain America’s lesser-known Himalayan counterpart. And, more appositely, there was definitely space in that headline for two ‘-ese’ suffixes.